We have a significant undertaking as physical therapists. Our job is to promote resilience, return patients back to their previous abilities, and try our best to increase their quality of life. However, there are some therapists, who instead of promoting resilience, end up taking it away. In other words, there can be a misinterpretation of how we communicate with our patients. As physical therapists, we should know that how we talk to our patients matters significantly. A nocebo by definition is, “a detrimental effect on health produced by psychological or psychosomatic factors such as negative expectations of treatment or prognosis. Unfortunately, nocebos are everywhere in our field. While the example above may be dealing with life and death, physical therapy can create similar issues. Your core is super weak. You’ll get injured if you don’t strengthen those muscles. Your hips are out of place. Looks like your glutes aren’t firing. Your spine is out of place. You’re probably going to need surgery. Don’t exercise or you might get injured. If you keep going, this could turn into chronic pain. These statements have snuck into our vocabulary without much worry, but Rankin asserts that these statements are detrimental. When physical therapists say these things, they instill in their patients' conscious and subconscious mind a belief that they won’t get well, and as long as the mind holds this negative belief, it becomes a self-fulfilling prophecy. If a patient believes they’ll never recover, they won’t. 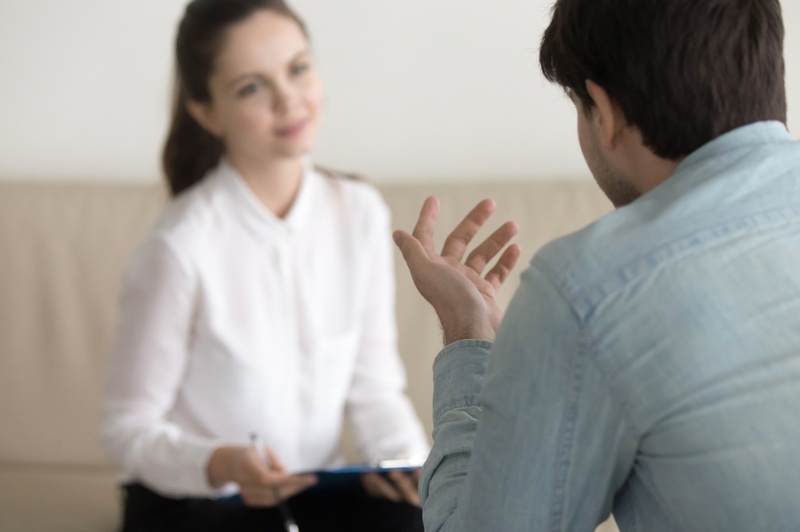 So while there is the need for definitive statements when communicating red flags to a clinician, anything that doesn’t match that criteria should be talked about with the utmost of care between a therapist and their patient. It's clear the most sinister issue with nocebo-laden language is its ability to spark catastrophic thinking patterns and negatively affect patient outcomes. These beliefs are imparted to patients by the clinician. These statements can also promote beliefs of fragility, decrease patients’ locus of control, and demean their self-efficacy and self-esteem. All important factors for overall well-being and resilience. “Individuals who manage to navigate adversity and maintain high levels of functioning demonstrate resilience.” When working with a patient, physical therapists should be doing everything in their power to promote resilience to help improve overall outcomes. Now that we know these nocebos are lurking, what should we do? While we spend a lot of our time talking, there is value in silence. Don’t always feel the need to fill the room with chatter. Particularly when talking about a pathology. Do the words "tight, loose, weak, strong, misaligned, crooked, out of place, chronic" really have a place in evidence-based practice? Before you speak, make sure the word has a meaning. When a patient has been inundated with nocebos by an authority, these statements can stick. If they talk to you using non-evidence based wording, challenge their assumptions by encouraging them to explain what they mean. Use open-ended questions and upward inflections. Make sure to listen to their story. Make your patient feel stronger and thus more resilient upon leaving your office. As a trainer I often times observe how these two issues go hand in hand. One is psychological and one is physical, but they are not mutually exclusive. Every time a client or patient increase a load they are proving to themselves that what was once unobtainable has now been attained. A perfect metaphor for resilience. You don’t give up because something is too challenging. You face the problem head-on and overcome it. Set a goal every time a patient comes in to see how much strength and resilience you can promote. Whether old or young, give the gift of strength - physically and psychologically. While we see a lot of pain and disability on a daily basis, these traits don’t have to be promoted. We all have the ability to encourage our patients to live more fulfilling lives. Reconnect with the reasons you decided to become a physical therapist. Make your patients feel like they can conquer the world, then watch them flourish.